As it turns out, a majority of teens don’t do drugs. And, according to one recent survey, the rate of lifetime drug use among teens has actually been decreasing the past few years. According to the latest Youth Risk Behavior Surveillance System (YRBSS), in 2007, 22.6 percent of young people surveyed for the report admitted to using select illicit drugs. By 2017, that number dropped to 14 percent. 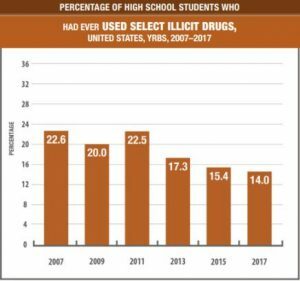 In addition, the percentage of high schoolers who had injected an illegal drug in their lifetime, dipped from two percent in 2007 to 1.5 percent in 2017. The Centers for Disease Control and Prevention developed the YRBSS in the early 1990s. 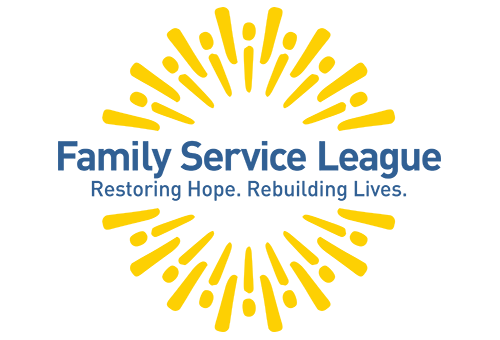 It focuses on six health-related categories (tobacco use, violence, alcohol/drug use, sexual behavior, dietary behavior, and physical inactivity). Almost 15,000 Students (grades 9 through 12, in both public and private schools) answer questions related to their health for the 2017 survey.